I was inspired to create these “messy collage” cards by an article in Paper Crafts magazine (probably a year ago). The article talks about taking all the random pieces from your messy desk (who doesn’t have these? I am the QUEEN of the messy desk and the person who never met a scrap she didn’t love) and just making a “messy collage.” Can you tell this article SPOKE to me? It’s been a tough two weeks here, but I needed to make a fast and easy card. I love using solid and outline stamps that coordinate. 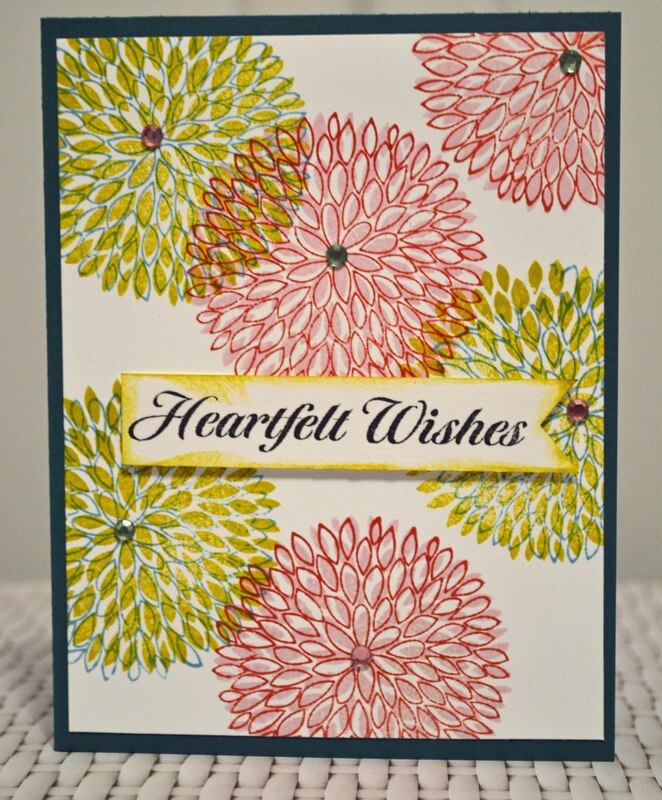 First I stamped the solid image using Chalk ink from ColorBox. Then I overstamped using the outline image. 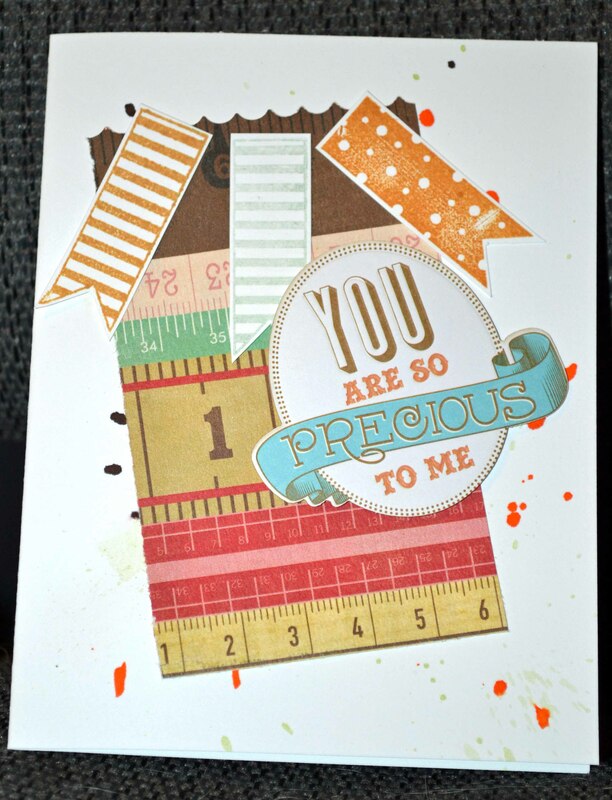 Add a sentiment, some bling, layer it and bam! Done! Remember, stamping doesn’t have to be complicated to be effective! 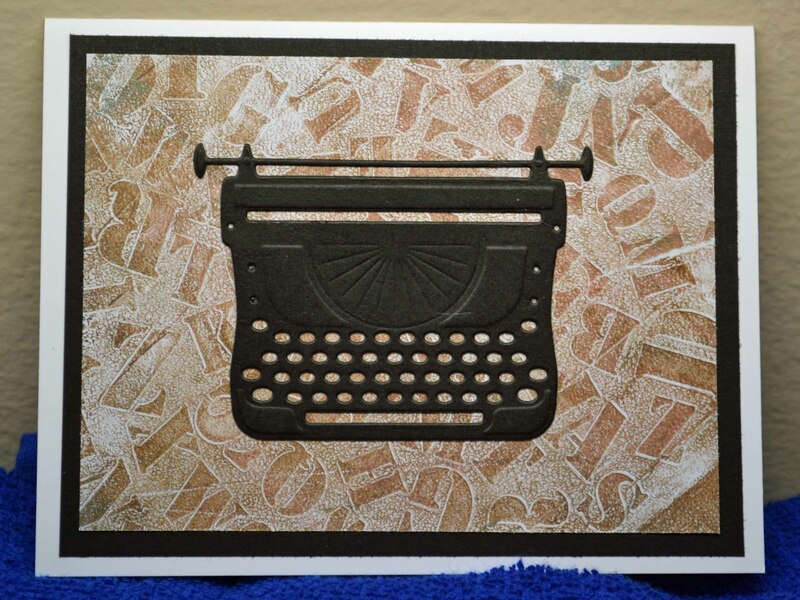 Last Friday, I showed a nifty new typewriter die from Spellbinders (see it here). 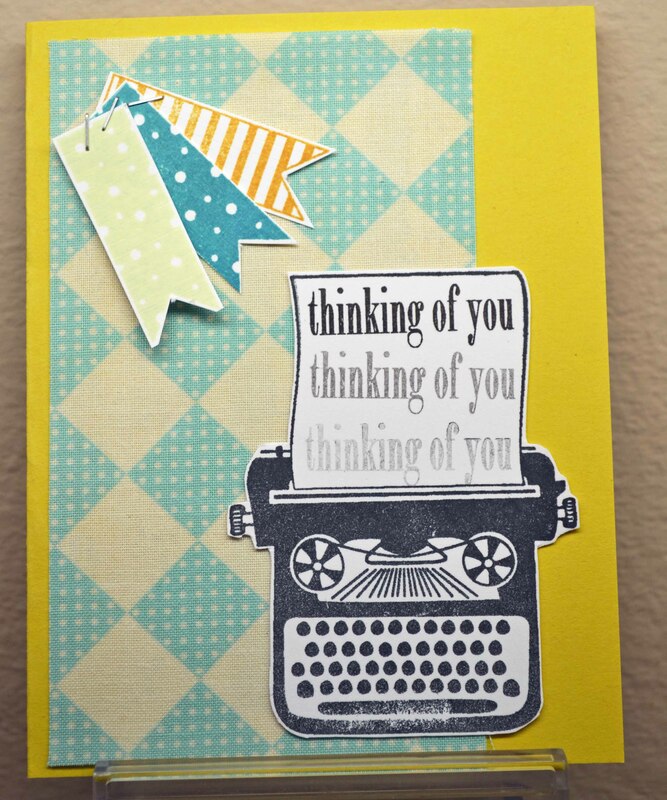 Which brings me to today’s Fabulous Find: the new Tool ‘n One from Spellbinders. There is also a sharp awl-like tool and a spatula, all interchangeable. The parts store neatly in the barrel and more tools are in the works. 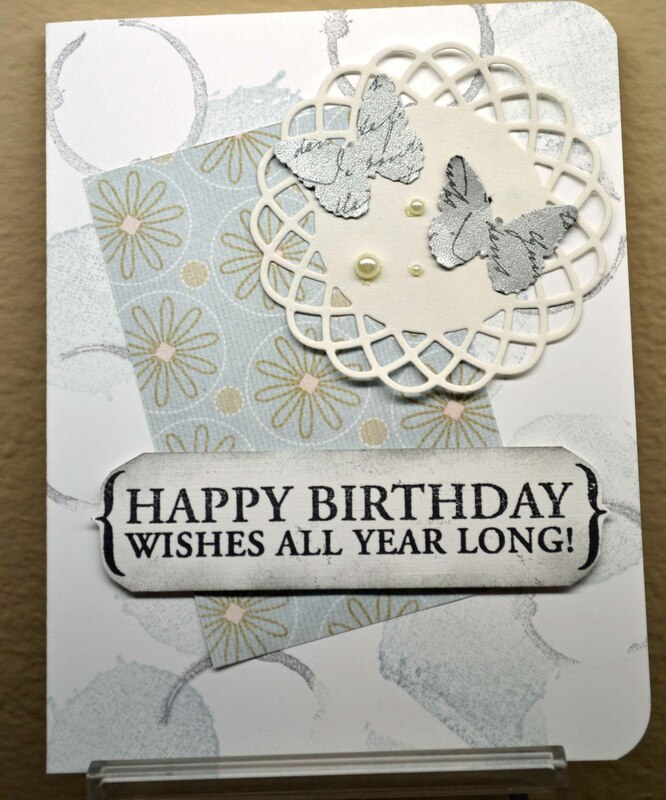 To see more, go to www.spellbinderspaperarts.com. Yes, yes, I’ve been away a while… but here is a Fabulous Find that maybe makes up for it! 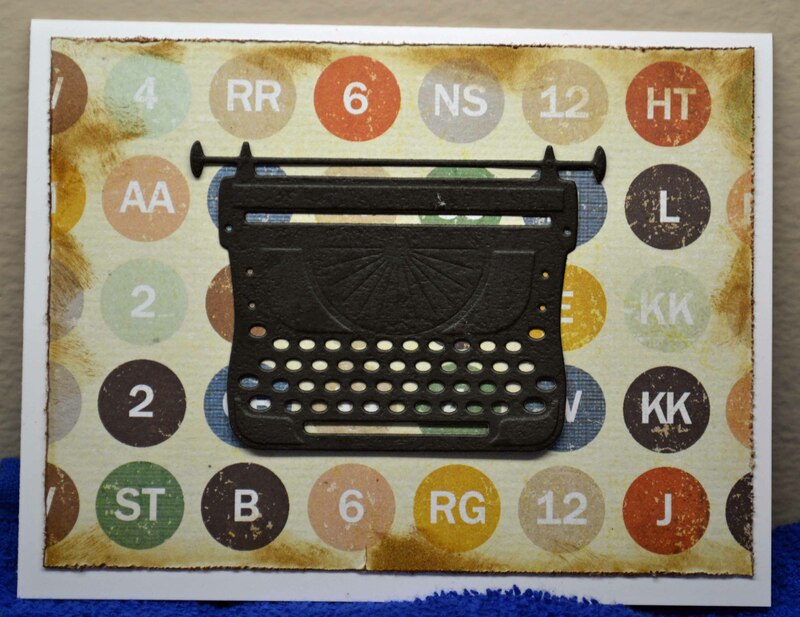 The journalist in me loves anything having to do with newspapers, typewriters, and all the things associated with writing. And I love dies. It’s a magical mix. 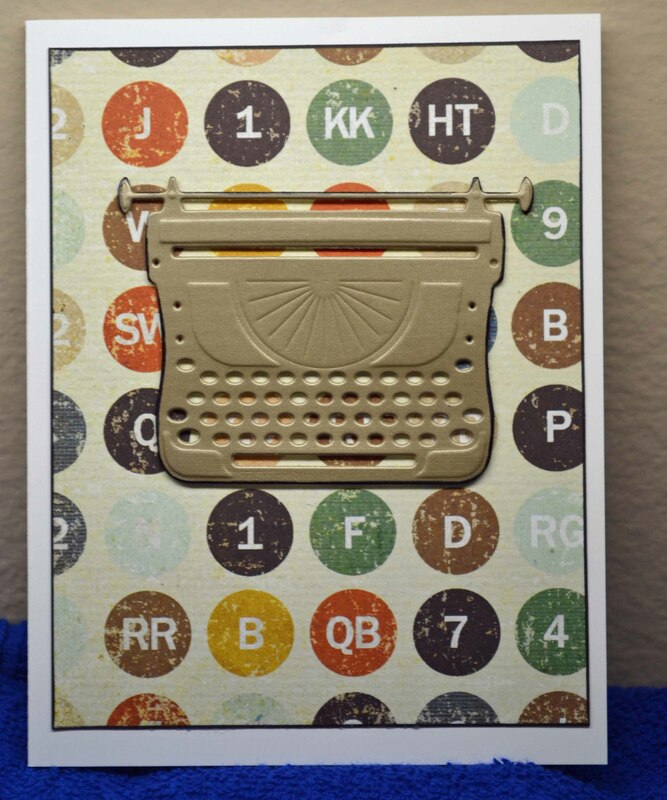 Naturally, I went nuts for this typewriter die from Spellbinders.